Indian’s are most famous for their jewelry and if you are fond of Indian earrings and want to wear them for your special day, you no need to visit India, Omsara is providing you a wide collection of Asian designer earrings which are handmade with beautiful kundans and cut stones. At Omsara online store in Uk, you can find an authentic collection of British Indian chic designer earrings, lehengas, ethnic bridal sarees, and Salwar suits at best prices. 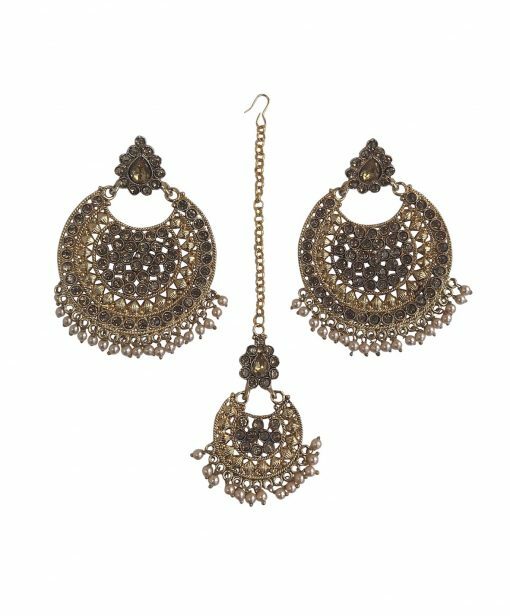 Here are the gold chaandbali cut earrings comes with a maang tikka which suits Indian traditional wear and perfect for any festival or wedding or sangeet which gives you the most stunning look. The price of these earrings is just £35.99 only. 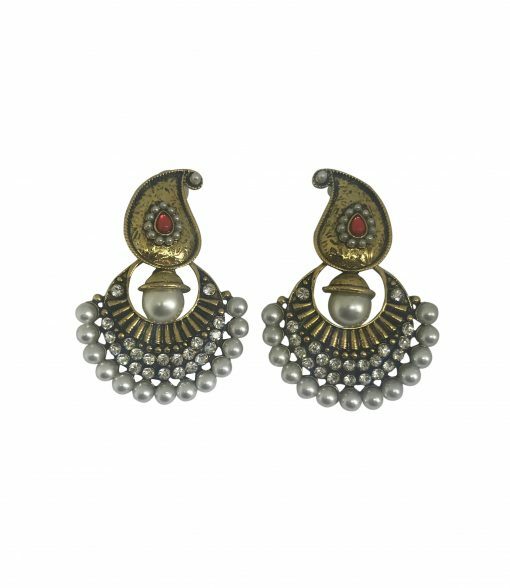 Look at these antique gold jumka drop dangle earrings that costs just £14.99 only, which are made of red and white uncut stones and pearls which perfectly suits for any occasion and gives you the most beautiful look for any party. 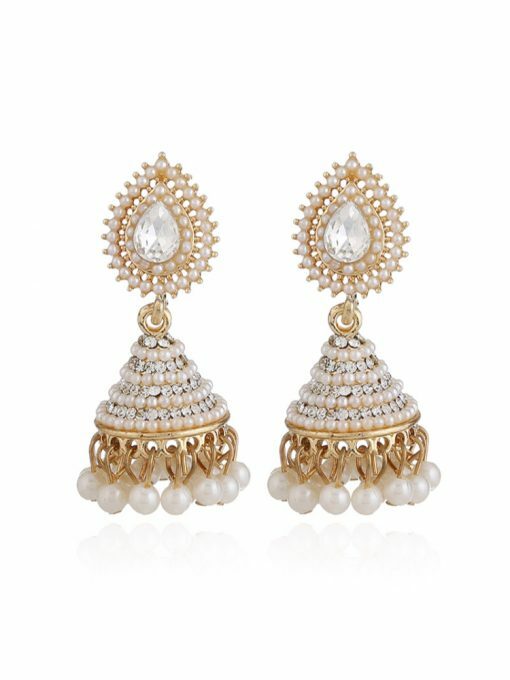 This beautiful pearl drop jumka earrings are crafted with quality pearls comes in a gold color and embellished with white stone. These earrings are best suitable for any kind of traditional outfit and help you to enhance your beauty. So, to grab these finest collections of earrings visit Omsara online store where you can find all kinds of Asian jewelry at competitive prices. We offer international shipping to the United Kingdom, Belgium, Ireland, Italy, Spain and many other countries.